Join us on Friday April 5 from 9:00 - 9:30 AM for Munchin' on Math in the Morning. The Ruth Pawson School Community Council (SCC) is offering families an opportunity to order quality food and baking products, while also supporting the SCC's fundraising efforts. The Pawson SCC proudly supports the school's efforts in purchasing technology equipmentand services for students such as: data projectors, document cameras, and subscription licenses for online programs like Raz-Kids for guided reading support. Thank you for supporting your Pawson SCC! Order deadline is Nov 20th. Students in grades 6,7 and 8 are invited to try out for the basketball teams in the new year! You can support the Ruth Pawson School Community Council (SCC) when you shop...when you dine...when you gift! Families are encouraged to order gift cards from FundScrip to support the purchase of technology equipment for our school. You can use the gift cards for your shopping - groceries, gas, home and garden, entertainment, restaurants, and much more. Each purchase automatically includes a donation to Ruth Pawson School. You may order on a paper form from the classroom teacher or click here, or go to http://www.fundscrip.com/, click on "Support a Group" and use the group invitation code: RJYUFE. Please submit your orders by November 30th to ensure delivery for Christmas. Thank you for supporting the Ruth Pawson SCC! Our Pawson Kindergarten to Grade 8 teachers look forward to meeting with families on Friday, November 24th for Parent/Student/Teacher conferences. This is a wonderful opportunity for students to share goals and to have a three-way discussion regarding their progress. 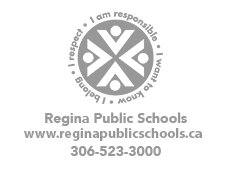 During this scheduled time, teachers may also share information from Regina Public School assessments, including the Kindergarten EYE, as well as Reading assessments such as Oral Reading Records (ORR) and Fountas and Pinnell (F&P). We encourage you to visit our book fair in the school library before or after your conference time. The book fair is open from 8:00 a.m. until 5:00 p.m. on November 24th. Thank you to our Ruth Pawson Safety Patrol team, for helping to ensure our students are safe when crossing the streets near our school. Our teams are on duty at 11:45 a.m. and at 3:37 p.m. on Weekes Crescent directly in front of the school, and at the corner of Weekes and Broad Street. The team is under the direction of our School Resource Officer, Constable Greg Krawetz, and schedules are coordinated by Mrs. Bosch at the school office. Patrollers gain confidence, learn responsibility and leadership through the program, and they model these traits to other students in our school. Thank you to drivers for following the patrollers' directions and to the 2017-18 Pawson Safety Patrol team members: Amy, Isaac, Hannah, Evan, Jovie, Neely, Taleigha, Taylor, Dawson, Owen, Dax, Ainsley, Drew, McKenzie, Anya, Sierra, Tyler and Marissa. - Ruth Pawson School now has an extracurricular theatre troupe for students in Grade 5 - 8? - our theatre troupe is called the "Pawson Players" and included actors and stage crew, and is directed by Mrs. C. Lelliottt, our Arts Education Specialist Teacher? - the Pawson Christmas concert held at Thom Collegiate on December 21st will look different this year because, in addition to Kindergarten to Grade 5 classes singing, the Pawson Players are performing their first play? - our Pawson Players' first performance will be the play called A Christmas Scarol, written by Don Zolidis, on December 21st? - in order to stage a play, we have to purchase scripts (approximate cost of $12.00 each) and also pay performance royalties? - we will have a silver collection basket at the performance on December 21st to help us offset these costs? "When Tim can't think of a Christmas gift to get his high maintenance girlfriend, he's visited by four terrifying spirits (actually five - they've been hiring) who whisk him away on a harrowing and hilarious journey into the past, present and future, and an alternate timeline. This wild and free-spirited adaptation of the holiday classic is a reminder of the true meaning of Christmas." The cast of 24 characters is played by 14 Pawson Players actors, who look forward to performing for you!